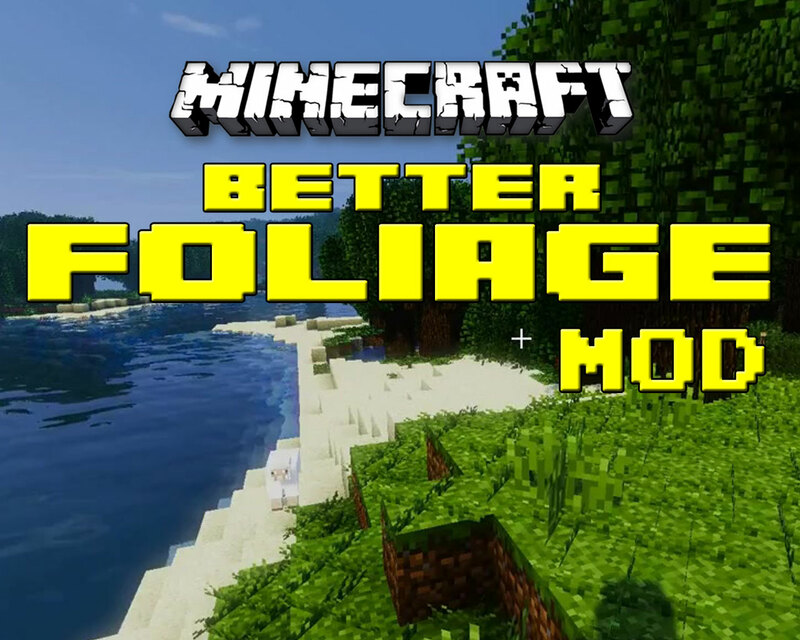 The Better Foliage Mod is a rather lovely Forge mod that enhances the environment with a few simple additions to existing assets. 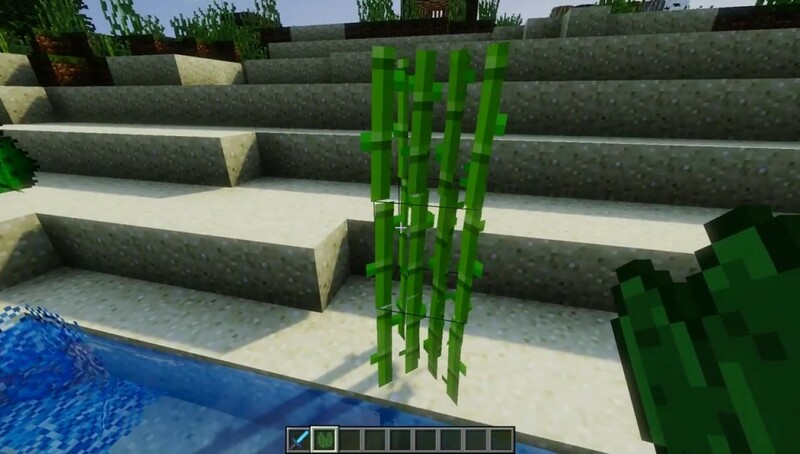 Better Foliage is a bit of a misnomer because it affects more than just the game’s plants and trees. It’s client-only, but is worth installing at least once for the richness and depth it adds to the environment. 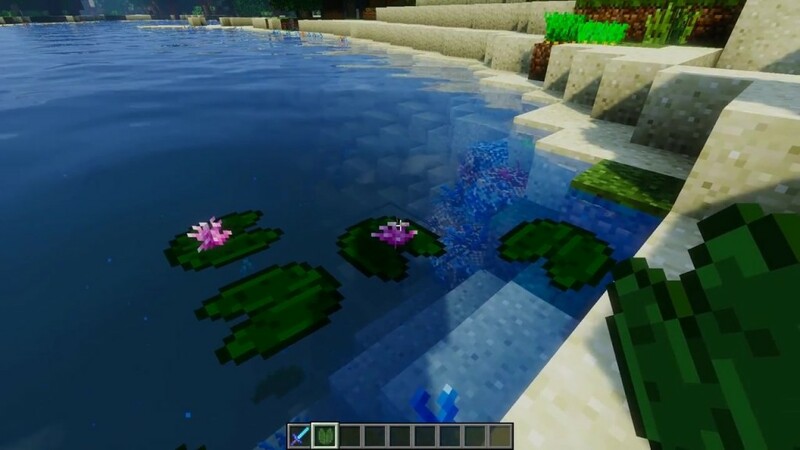 From intricate coral in deep water to spooky rising souls from Soul Sand, this mod adds all sorts of little extras that add an incredible amount of depth. 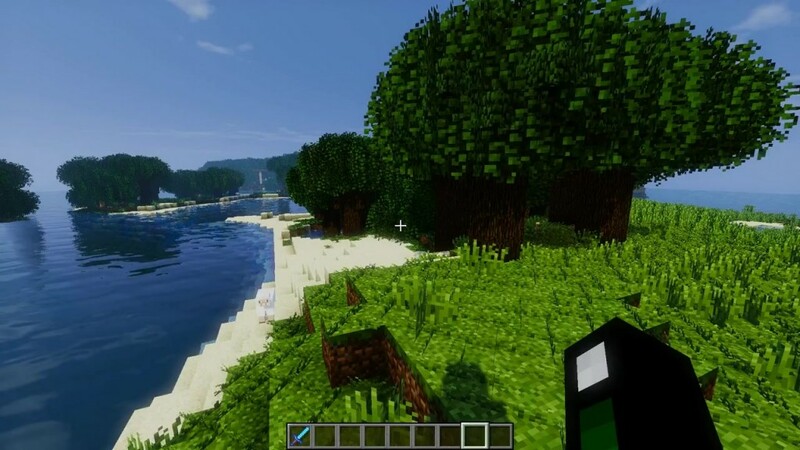 This mod also does not intrude on the game’s original style, meaning Minecraft will still look like Minecraft. 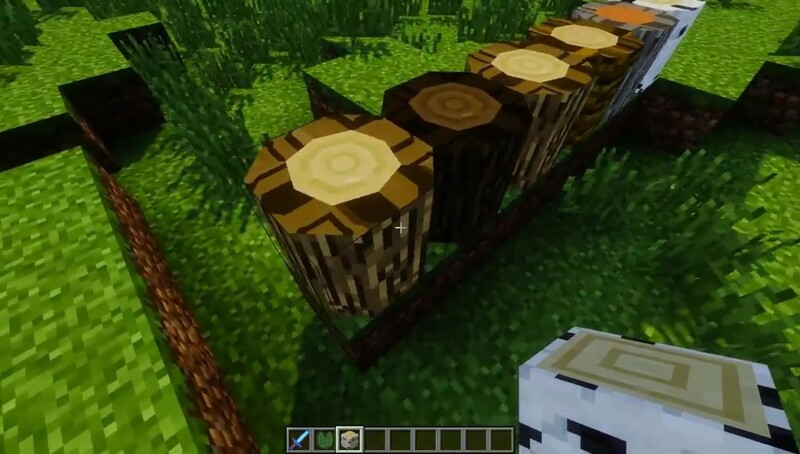 The mod also has the dual purpose of making special blocks a bit easier to find with making them completely obvious for those who still want the challenge of finding them. For example, the rising souls can go quite high and move in a spiral pattern, making them easier to spot. 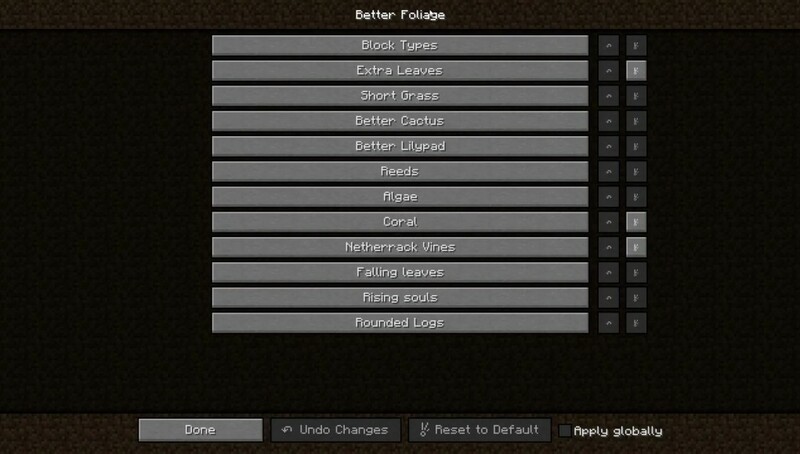 If you want to adjust any of the mod’s settings in-game, press F8 and go to town. You may need to do this if something like the rising souls affects your system’s performance. Otherwise, the environment looks much fuller and livelier with this mod, adding a surprising amount of realism with only a few minor tweaks and additions. You will need the most recent version of Forge to run this mod, so be sure to update it before installing. This mod also plays well with other shader mods, Optifine and Colored Lights Core, among other similar mods, but may require the Better Grass and Leaves mod. 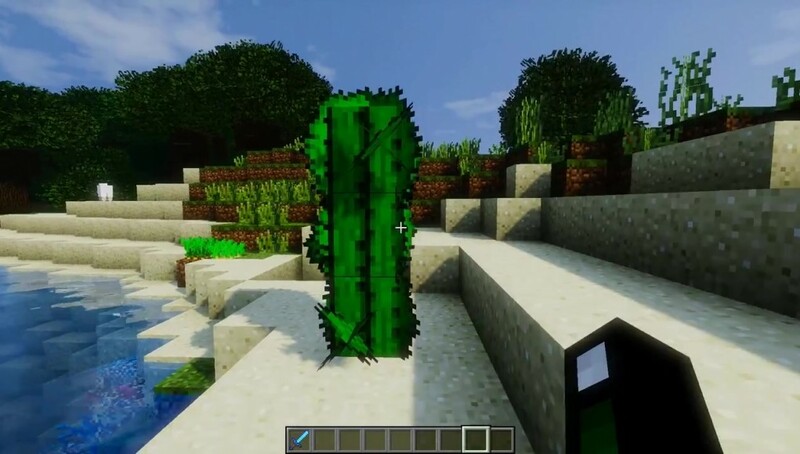 The game turns out much more atmospheric and alive with Better Foliage, making the game feel much less artificial or empty. 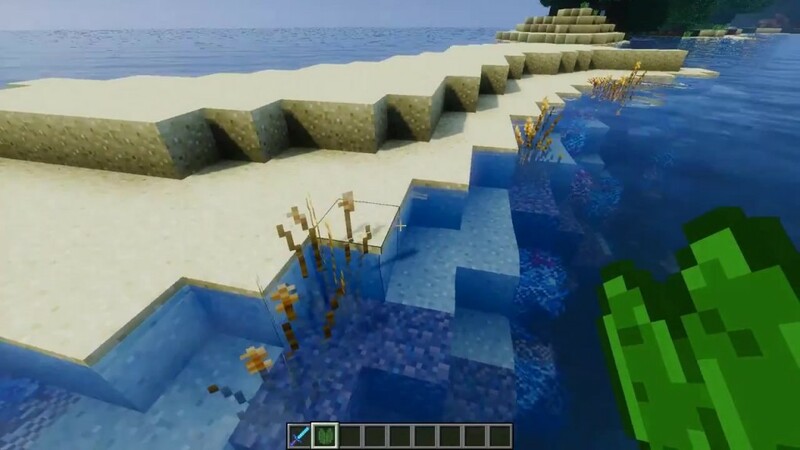 This mod adds some very nice aesthetics that prove that Minecraft can be a bit more realistic without breaking from the game’s overall style and is definitely worth trying.